Comfort, safety and convenient storage are three of the main things you look for in choosing furniture for your kids. 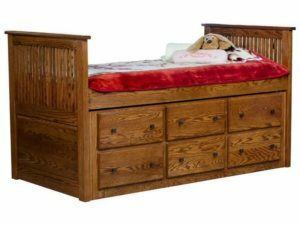 And Storage Furniture for kids – more specifically, kids’ storage beds – fulfill all three criteria. 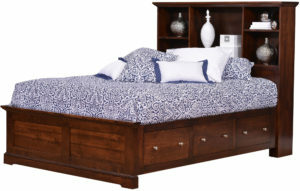 Our Amish craftsmen incorporate convenient full-extension drawers into the bed platform. So kids will have lots of room to store clothes or other personal items. What’s more, the best cabinetmakers in the Midwest – Amish men – handcraft each bed. And these artisans use solid hardwood, for unsurpassed strength and durability. So check out the Storage Furniture pieces below. And enjoy seeing you kids experience comfort, safety and convenient storage like never before. Also, visit our ‘brick and mortar’ store in Shipshewana, Indiana. And explore our kids furnishings in person. 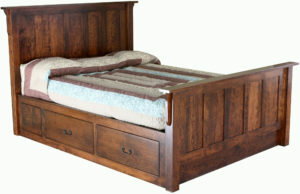 No matter which item of Storage Furniture you select, you’re assured a superbly built item of fine furniture. 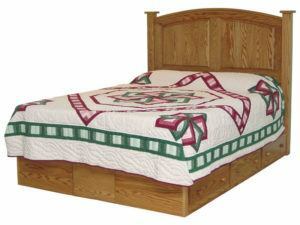 Because Amish builders handcraft each bed. Using solid hardwoods like oak, maple, cherry and hickory. Also, you can customize the bed to meet your specific needs and desires. For example, you can choose the specie of wood, finish and hardware. Plus other features like the finished dimensions.